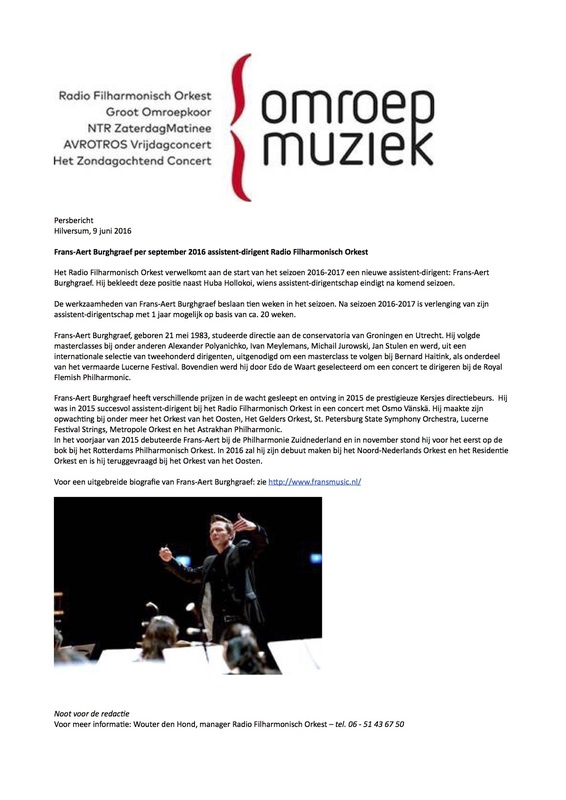 Frans-Aert accepted the position of assistant conductor with Radio Philharmonic Orchestra, one of the three top orchestra's in The Netherlands. He will assist in 10 productions during the season 2016-2017, possibly 20 productions in the season after. He will assist chief conductor Markus stenz, as well as guest conductors as David Zinman and James Gaffigan.